It’s time to talk about sleep. Last week was pretty low for me. We had some extra activities on top of our regularly scheduled programming and I was burning the candle at both ends. I knew it was temporary so I just tried to power through. In hindsight, I recognize that I could have had a much better week if I had armed myself with the tools to navigate the week without burn out. With my children, I am a fierce protector of sleep. I am one of those parents who planned life around naps and sleep schedules when they were babies and even now, the boys are in bed between 7-8 p.m. every single night with very few exceptions. But for all that, I can’t seem to get my own sleep under control and when I am sleep deprived, I can honestly say I am my worst self. In summer especially, as the kids are out of school and activities change our schedules and keep us up later at night, sleep can take a back seat to other seemingly more pressing obligations. But this summer, I am taking a cue from my lousy attitude last week and taking my sleep back. 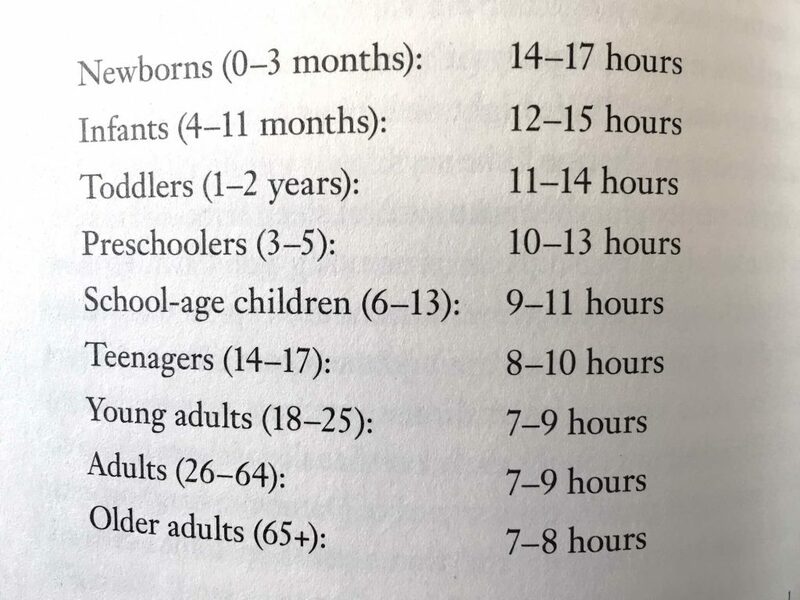 I was asked to review The Sleep Revolution by Arianna Huffington and it’s a fascinating study on why sleep is really so very important for all of us, no matter how old we are. I can relate to Huffington’s personal story of waiting until the kids are in bed to try and squeeze more work in, or overscheduling when she knew it would be too much. I love the things that I do so when I say yes to something, it’s because I genuinely want to do it. But that doesn’t mean I should or can do everything I want to do. Even great opportunities can break you if they are added to an already full schedule. In The Sleep Revolution, Huffington explains that we are a society of sleepwalkers. We are less productive, more stressed out and busier than ever. Something has to give. I’m a firm believer that we can always find a way to make time for what is important, so what really needs to happen in my life is a restructuring of my priorities. That’s why this summer I am giving myself a sleep challenge. Want to join me? After reading The Sleep Revolution, I’ve decided there are 3 things I can do today to improve my sleep and I don’t think they will be too difficult. In fact, I already started some over the weekend and I got more rest than I have in a long time. Bedtimes are for adults just as much as they are for kids. Chances are you are already getting up at roughly the same time each day (especially if you have alarm-clock kids like we do), so count backward from that time and aim for at least 8 hours of sleep. My boys start coming into our room between 6-7 a.m. most mornings. We don’t officially start our day until 7 a.m., but I know that last hour is iffy, so I am setting my bedtime for 10 p.m. every night. That doesn’t mean I start getting ready for bed then. That is lights out. I held on to having my phone plugged in on my nightstand for years because it was my only clock. But I am convinced of the science that screens right before bed prolong the falling asleep process and on the nights when I wake up at 4am, reaching for my phone is a sure-fire way to stay awake for at least an hour when I might have otherwise fallen back asleep in 20 minutes or so. Now that I sleep wearing my Fitbit, I can’t use the clock excuse, so my phone is being evicted to the bathroom. This one feels more challenging to me than it should, which is a great sign that the phone has overstayed it’s welcome next to my pillow. I’m so tired. I’m so busy. There aren’t enough hours in the day. This is an attitude I have been fighting for a while now, but I’ve been going about it all wrong. Instead of trying to Tetris my life in perfectly balanced cubes, I need to allow space for being an actual human being. One of Huffington’s strongest themes throughout her book is how as a society, we have to let go of the idea that it’s somehow noble to “get by” on little sleep. It’s not only harmful to us physically, but it’s actually having the opposite effect, stunting our productivity and keeping us in a distracted, frustrated state. That is not how I want to live my life! There will be days when I overdo it so I may even need a power-nap from time to time, but I am serious about this sleep business. If it’s important enough for my kids, it’s important enough for me as their mom and one of their primary examples. Do your sleep habits need an overhaul? 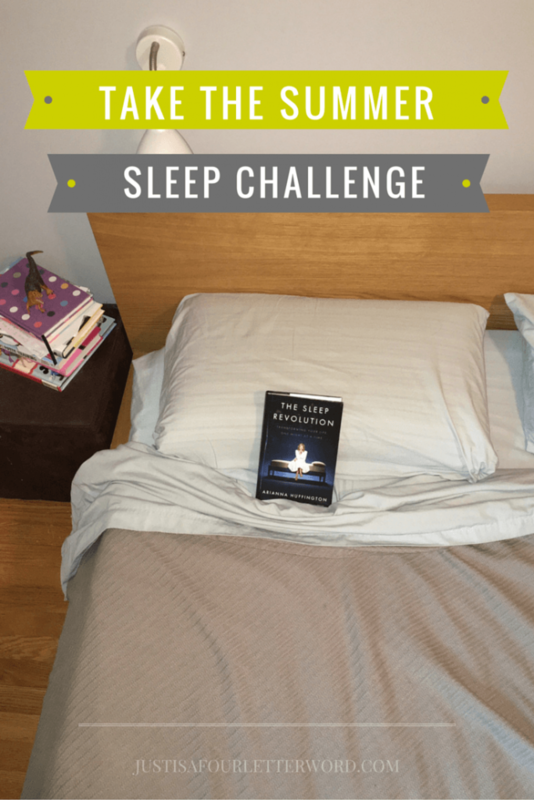 Take the summer sleep challenge with me! Let me know your goals in the comments and let’s all get some serious rest. I received a copy of The Sleep Revolution for the purpose of this review. All thoughts are my own. Post contains affiliate links.